Ti Kuan Yin is considered part of the Oolong tea family as a semi-fermented tea. Ti Kuan Yin is known as a special variety of Camellia Sinesis (tea plant). Ti Kuan Yin from Taiwan is a very close relative of Dark Oolong tea because it is baked longer than Green Oolong. China Ti Kuan Yin such as Anxi Ti Kuan Yin is very similar to Green Oolongs. Due to sometimes a dark appearance of the dry leaves and a ancient story, Ti Kuan Yin is named after the Iron Goddess of Mercy. 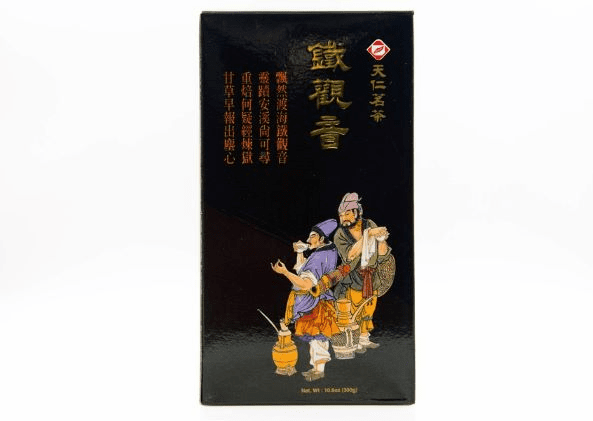 Ten Ren offers Ti Kuan Yin in a variety of grades and canisters and produced from both Taiwan and China.